McKee's 37 Production Detailer's Kit Free Bonus! Streamline your detailing process with the McKee's 37 Production Detailer's Kit! The McKee's 37 Production Detailer's Kit contains all of the essentials for increasing the efficiency of your detailing process without skimping on results. This all inclusive kit has everything you need to clean and decontaminate paint, then ramp up gloss—all in a few easy steps! Use the 5 Gallon Wash Bucket with Grit Guard and Gamma Seal Lid along with Xtreme Foam Formula to get a swirl-free clean. Remove contaminants with Extreme Iron Remover coupled with McKee's Universal Clay Bar. Get glass perfectly clear and free of any water spots with McKee's 37 High Performance Glass Restorer, then finesse paint to perfection and ramp up gloss with McKee's 360 Corrects, Cleans, Seals formula. Keep it all looking great between washes with McKee's N-914 Rinseless Wash. When you’re all done, use the bucket to store and transport your detailing arsenal! The McKee's 37 Production Detailer's Kit is the perfect addition to your detailing routine! The McKees 37 5 Gallon Wash Bucket with Grit Guard and Gamma Seal Lid offers three essential accessories that every person needs to wash their car. This perfect trio includes a rugged 5-gallon wash bucket emblazoned with a stylish McKees 37 logo that shows your level of commitment to car care. This durable bucket is guaranteed not to crack use after use, and includes a Grit Guard that locks dirt and debris in the bottom of the bucket to prevent wash-induced swirl marks. The Gamma Seal Lid is perfect for transporting your favorite wash mixture to car shows and meet ups, making this bucket a must-have for your garage! McKee's 37 Xtreme Iron Remover is pH-balanced and 100% acid-free, so you can use it on every exterior surface with confidence. Simply spray this powerful cleaner directly onto all exterior surfaces and wait a few minutes for it to turn red as it dissolves ferrous (iron containing) particles, leaving your paint glossy, smooth, and bright. Then, wash your vehicle as you normally would and then apply a coat of your favorite wax or sealant. Your vehicle's paint will appear glossier than it ever has! Use McKee's 37 N-914 as a waterless wash to keep your vehicle clean without wasting water! McKee's 37 Universal Detailing Clay is a special clay compound that safely and quickly removes contaminants that lie below the clear coat surface. Clay works by grabbing foreign particles and pulling them out of the clear coat as you rub the bar across the paint surface. 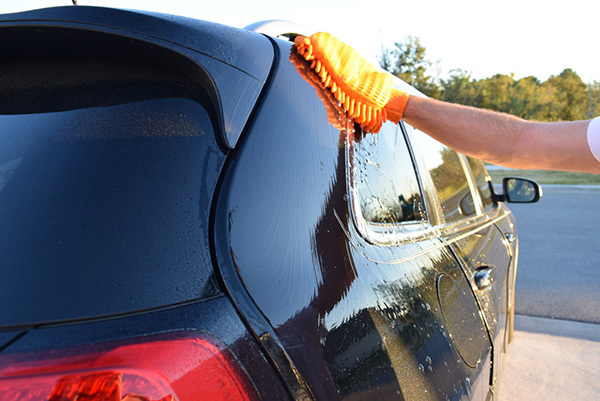 Washing only removes surface contaminants, but your vehicle may still have microscopic particles embedded in the clear coat. These particles are hard to see individually, but together they can cause dull, rough patches that detract from the paint's appearance. McKee's 37 Universal Detailing Clay will remove these contaminants and restore a glassy smooth finish to your vehicle. Once wax is applied, the paint will feel silky smooth and have a bright, glossy shimmer. McKee's 37 360 Cleans, Seals, Protects beautifies and protect paint in one easy step! The Green Monster Wash Mitt has everything you need in a wash mitt: it's super soft and it holds a lot of soapy water! Thousands of soft strands of fabric cover the outside of the mitt to trap dirt and pull it away from paint. This prevents debris from being rubbed back across your paint causing scratched and swirls. For comfort and ease of use, the Green Monster Wash Mitt features an elastic wrist band to keep it in place while you wash so you won’t accidentally drop it. There's only one type of fabric you want to dry your car: Microfiber! Microfiber is super soft, which prevents scratching during the drying process, and because it’s so absorbent, you can dry a small vehicle with just one towel! The Waffle Weave Drying Towel makes short work of drying your vehicle so you won’t have to deal with unsightly water spots. With a 75% polyester, 25% polyamide 100% split weave microfiber composition, this towel can absorb over 7 times its weight in water! A total retail value of $238.84, Save $88.85!